Ukraine's state-run Ukroboronprom concern has said the investigative report aired by the Kyiv-based Nashi Groshi investigative team about overhauling two An-26 planes for a foreign customer is incorrect and shows signs of manipulation, indicating the journalists are prejudiced. "Taking into account that incorrect information was reported … We emphasize that the information promulgated by Nashi Groshi shows signs of manipulation and is a manifestation of biased journalism. After all, the authors did not give the concern's viewpoint that was provided to them at their request," Ukroboronprom's press service said. Ukroboronprom asserts information about the reported sevenfold overpricing for An-26 instruments is incorrect. "The contract with a foreign customer provided for the installation of two sets of altimeters with three instruments each in two planes. According to the terms of the contract, these instruments should have been replaced by new ones, manufactured no later than 2015," Ukroboronprom said. The press service said Ukrainian aviation enterprises contacted by the concern to fill the order did not have altimeters. The only company that agreed to deliver these products was An-Service LLC. 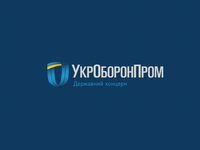 "They were checked by specialists of the state-run Plant 410 Civil Aviation enterprise and representatives of the customer," Ukroboronprom said, adding that there are no records of importing the devices to Ukraine after 2014. "We emphasize that we are not commenting on the delivery of altimeters to Ukraine, since the concern's companies did not provide logistics services. At the same time, we note that journalists' assertion about the value of goods is completely incorrect," Ukroboronprom said. "The best purchase price is indicated by the fact that the client country purchased these devices from the Ukrainian side, and not directly from the manufacturer – Russia, which is its partner in the Customs Union and could offer its price," the concern added. "We emphasize that the concern's profit for this delivery was no less than the profitability of the entire contract. The fulfillment of this contract provided work for several thousand employees of the Ukrainian aircraft industry, and its total cost was about $6 million," the press service said. As reported, the third YouTube installment of a four-part investigation series by Nashi Groshi on March 4 claimed to reveal illegal procurement schemes of components at inflated prices for Ukroboronprom enterprises. The deals included kickbacks for incumbent head of the state concern Pavlo Bukin and First Deputy Secretary of Ukraine's National Security and Defense Council (NSDC) Oleh Hladkovsky, who was dismissed on March 4. The investigation was based on information leaked during the fall of 2018. The leak comprises an anonymous archive of correspondence of transaction participants. Nashi Groshi investigative journalists intimated that Oleh Hladkovsky and Pavlo Bukin received at least $30,000 and $10,000 in kickbacks, respectively, in a deal to purchase Russian altimeters for repairs of An-26 planes from Kazakhstan in Ukraine. Nashi Groshi journalists said in 2016-2017 the altimeters cost about $85,000 and were purchased by Hladkovsky's son Ihor and his partner Vitaliy Zhukov, then delivered to Ukraine through the United Arab Emirates under the guise of spare parts for a civilian helicopter. They were subsequently purchased by the state company Ukrspecexport, then headed by Bukin, for $580,000. Nashi Groshi journalists said Hladkovsky and Bukin declined comment about the deal and denied knowing Zhukov.